Is it just me or do you guys get stuck in veggie ruts? I definitely do, especially with the kids. 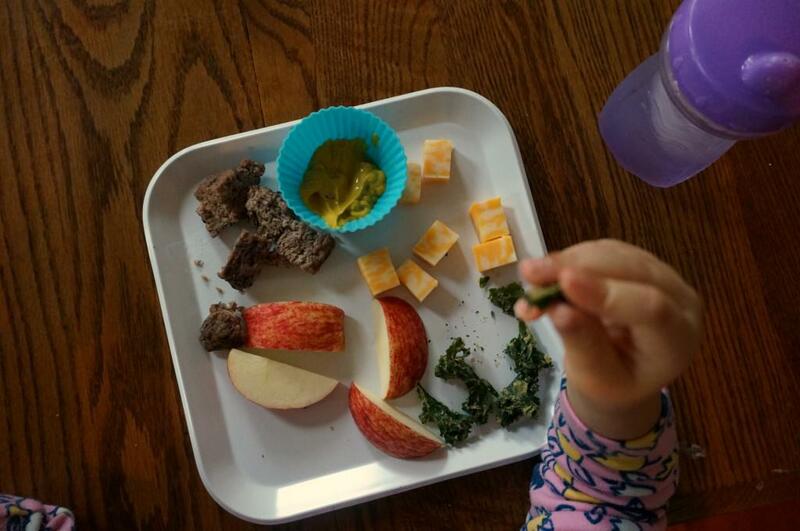 The time finally came where I couldn’t bear to put one more broccoli piece or frozen pea on their plates. Don’t get me wrong, those are great ones and some of our staples, but I really was itching to switch it up. So yesterday we all got into the kitchen together and destroyed it. The girls (Hailey, 3 1/2 years and Kaitlyn, 13 months at the time of this experiment) played and I cooked and we had taste tests after each round. I recorded everyone’s opinions and we really had a fun time! What did the kids and I think of these 5 unique vegetables? See our taste test! We started off with a vegetable I’d had before but it had been a while. 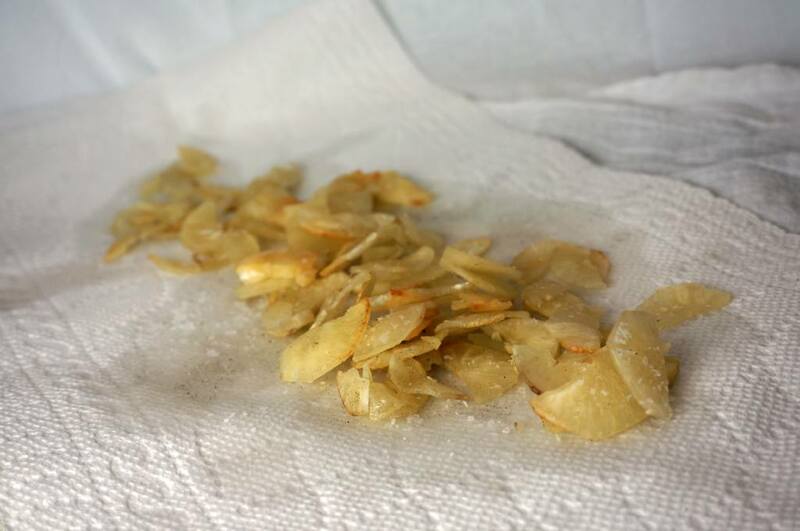 The method: Peel, cut into fry shapes and toss in olive oil. Place on a baking sheet in a single layer, sprinkle them with kosher salt and bake at 375 degrees for 40 minutes, flipping halfway. When browned, pull them out and serve warm with ketchup. 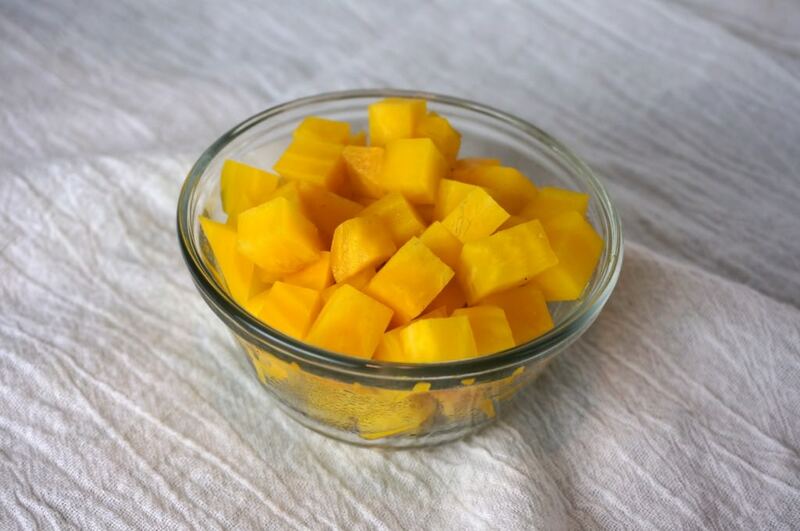 The method: Wash, trim and slice into small wedges. Saute in olive oil over medium heat until slightly brown, about 12 minutes. Sprinkle with kosher salt and serve warm. Hailey: Did not like them. The method: Wash, trip and wrap in tin foil. Bake at 350 degrees for 45 minutes, or until tender. Peel, dice and serve. The method: Peel and slice thinly. Pan fry 4-5 minutes per side in oil (I used coconut). Remove and set aside to drain. While hot, sprinkle with Kosher salt. Mom: LOVED them. Really, loved them and will definitely make again. Kaitlyn: Too tough for her 6 teeth to handle, but Koda enjoyed her pieces. The method: open bag? 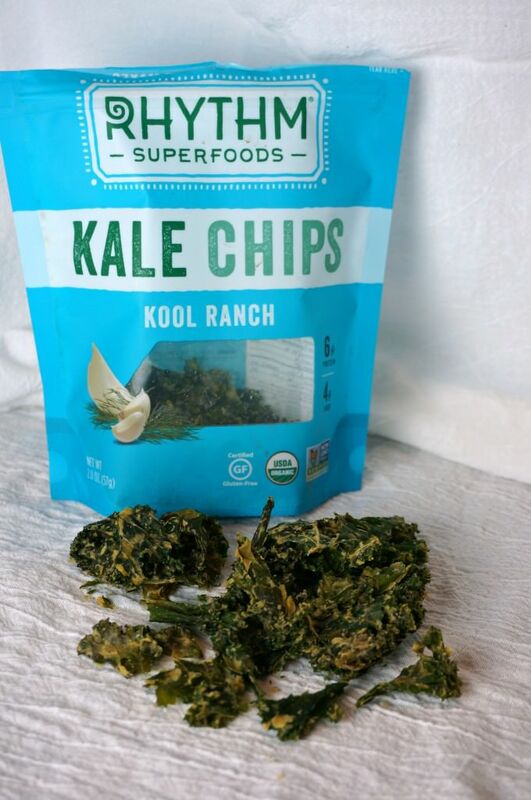 Ha, if I wasn’t being lazy I’d totally make Gina’s Cool Ranch Kale Chips (my favorite), but this bag was on sale and they were some of the best pre-made kale chips I’ve had! Hailey: LOVED them! Like, ate the entire bag herself and asked for more. Kaitlyn: Liked them OK, but were crumbly. Overall our time in the kitchen was fun and the girls liked playing the sample game. It felt good to stretch my boundaries and try out some new vegetables, with surprising results. One more I need to toss in there is kraut. I know, I talk about it all the time but it is so good. I’m not the only one who thinks so either. Kaitlyn ate it up and asked for more, as did Hailey. It surprised me for sure, but we all think you should try it- delicious! What’s the best ‘unusual’ vegetable you’ve ever cooked? « Shots! Shots! Shots! Shots! Shots! What a fun idea!! I could almost see this being a game with a toddler to expose them to new tastes and flavors! Love colored cauliflowers! I’ll admit though… I have no clue what to do with a turnip! My son loves plantains. We typically just boil them and he will gobble them up. Sometimes we fry them too, but he prefers them boiled. He also eats yuca too. 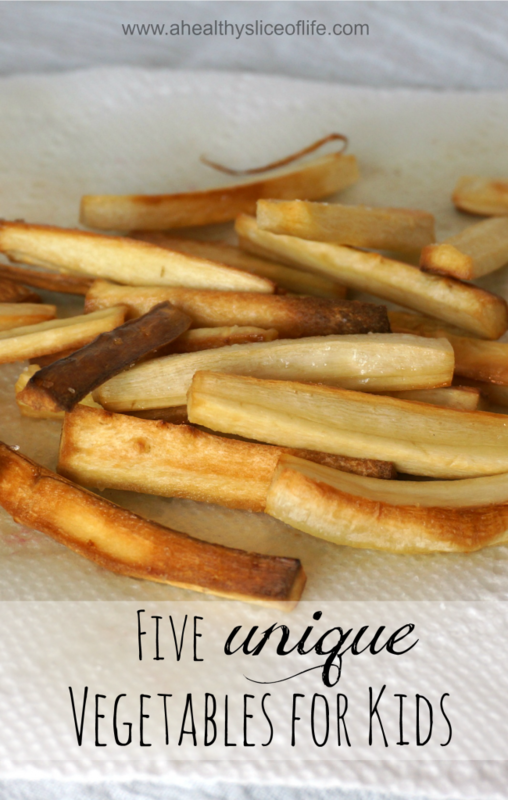 Our favorite way to eat it (at home) is cut into large french fry spears and then boil. It is really good to eat with meat/pork/chicken that has a bit of a sauce. But, when we go out I love fried yuca! Love this idea! 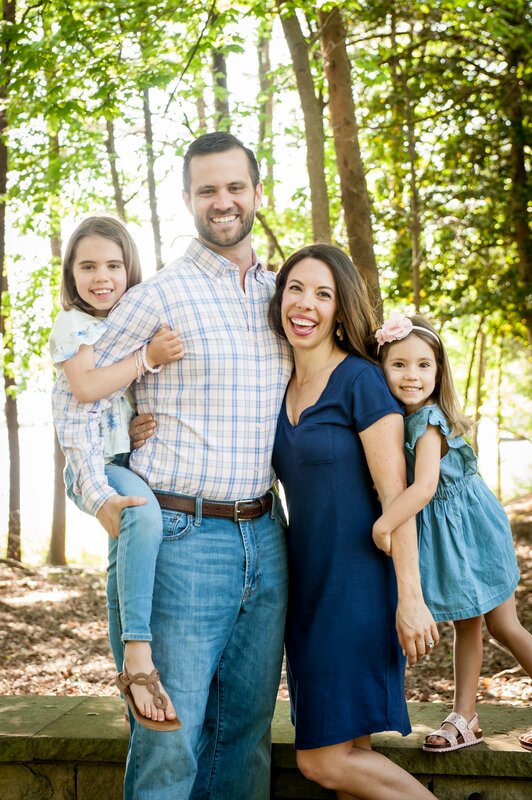 We don’t branch out nearly often enough and I’d love to get my kiddos to try new things. One thing I’ve always loved on salads is Jicama, and I always forget what a good crunchy snack it is. I’ve never bought jicama! I need to because I’ve had it out and you’re right- delicious! What a fun idea! 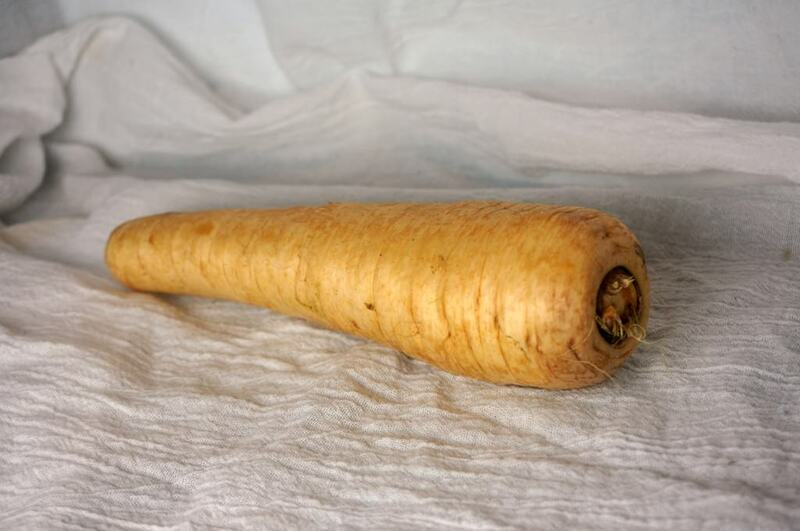 The Parsnip!! Looks awesome–you have convinced me to give that one a try!! Love the kiddos reactions! Kaitlyn is a good eater! I’ve been really into beets lately, they are perfect peeled, cut into 1 – 2 inch chunks and then roasted at 400 for about 40 minutes with just salt & pepper. Some of the beets get caramelized and that is the best part 🙂 Maybe you would like them that way? My husband is that way about peppers! He says all the time that they LOOK so good but he can’t stand them. We’ve tried every color, cooked, uncooked, etc and he just does not like them. You have to try parsnips coated in parmesan, awesome! Just cut into strips, blanch for a few minutes, drain, while still steaming toss them into a bowl containing a mixture of flour, parmesan and seasoning and coat them well. Put oil on a baking sheet and heat in the oven, transfer the parsnips onto the sheet once hot and bake for about 40-30mins, turning once. Enjoy! That. Sounds. Amazing. Totally trying that next time- thanks!! Here is the link to the recipe with all the measurements and timings, its a Delia Smith recipe. They are lush! I LOVE those kale chips too! I also happen to be a big fan of parsnips and radishes! 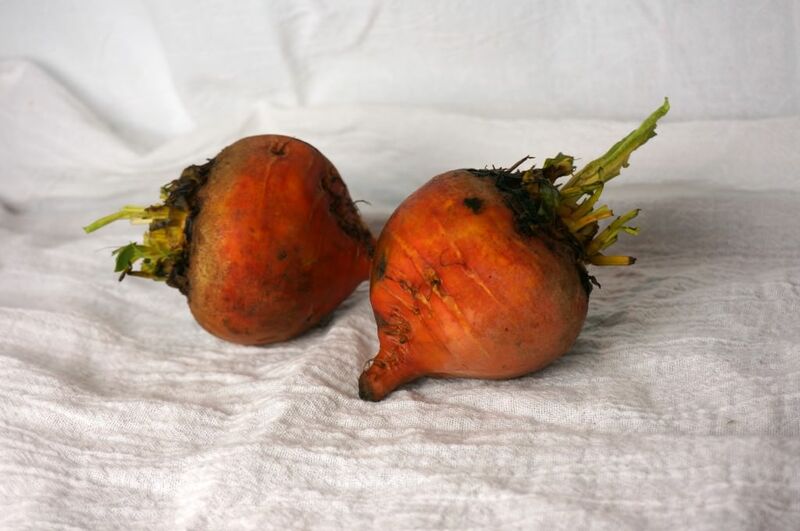 I really don’t like red beets, but I have found that golden beets are much more enjoyable to me. You, of all people, don’t like beets? Whhhhaaaat? I love every kind and every way. The girls too. 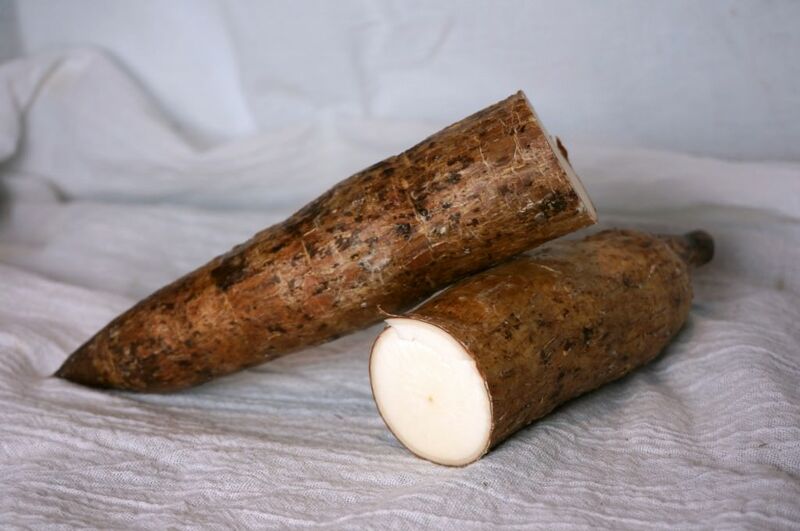 I have never eaten much less tried or seen a yucca. But I like the idea of parsnips like fries. And I can’t seem to make kale chips correctly. Maybe I should buy that brand you did? And, yes, we all fall in to ruts. Carrots, peppers, beets, asparagus and brocolli are our defaults. All good for you, but repetitive still. We are not all that adventurous when it comes to veggies in my house! I did see somebody on Food Network use celery root the other day, and I am intrigued. She roasted it up and put it on top of a salad. I’m glad I’m not the only one who despises beets! They literally taste like dirt. Seriously. I can’t even. Ugh. Thanks for the ideas – we might have to try some of those! Fun idea and great post! I definitely get into broccoli/pea/carrot ruts- thanks for the inspiration! Loved this post!!! 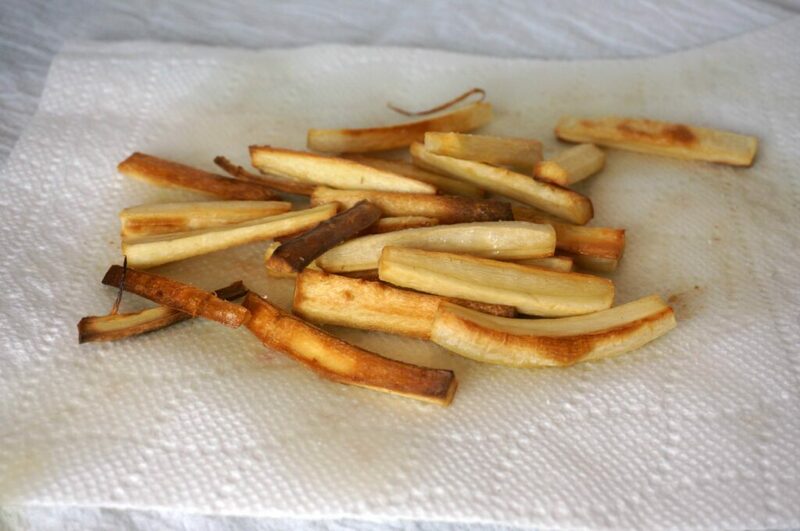 I love parsnips and usually just roast with other veggies but I totally need to do the fry method. C watched me make my salad the other day and said she wanted everything but the lettuce haha. She can’t get down with that yet unless it is spinach in a smoothie. 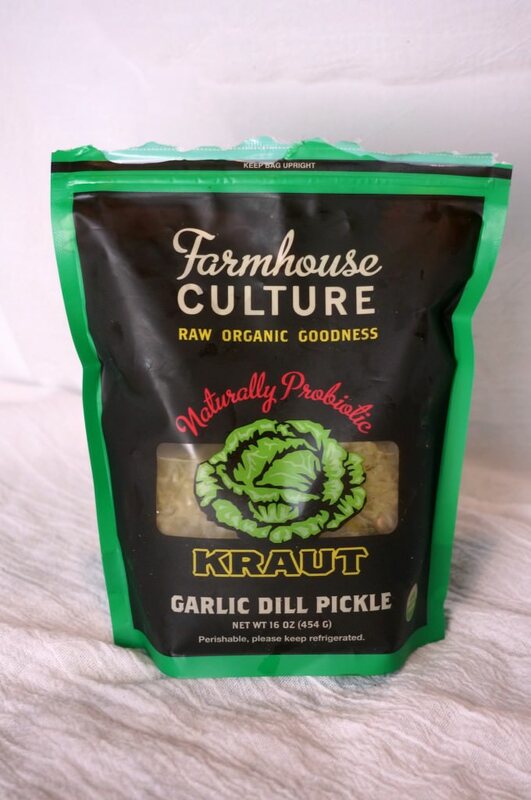 I’ve gotta find that kraut and kale chips! We don’t have a whole foods near us though sadly 🙁 Have you tried pickled beets from a jar? Ridiculously good especially in a salad with some gorgonzola. Oh and I’ve never had radishes cooked! Growing up we always ate them sliced up fresh with salt sprinkled on them. Happy 4th weekend!!! What great ideas! 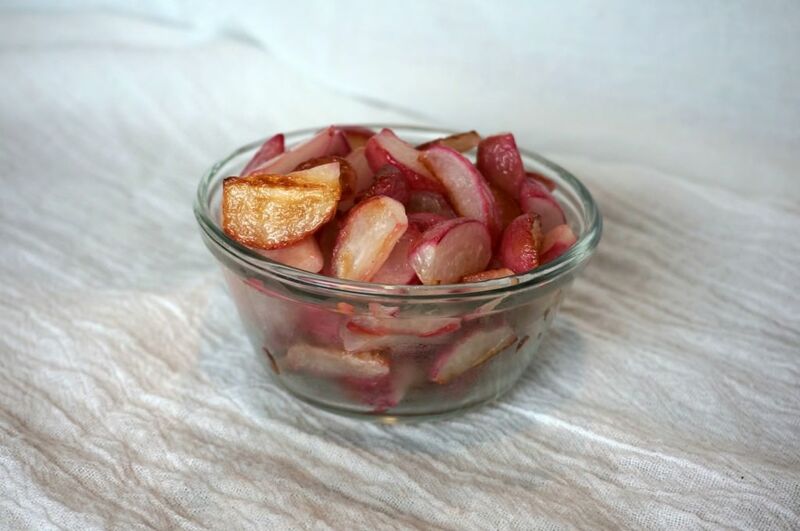 I’ve never thought to cook radishes, I always just serve them raw and the kids are “eh” about them. I think the taste testing is such an innovative way to get the girls excited about eating healthy! I know I certainly could use more vegetables in my diet, and I think it is great to start them young! Fun! How do you eat the kraut? Where did you find that Kraut? My almost 3 yr old loves veggie chips- especially the green beans! 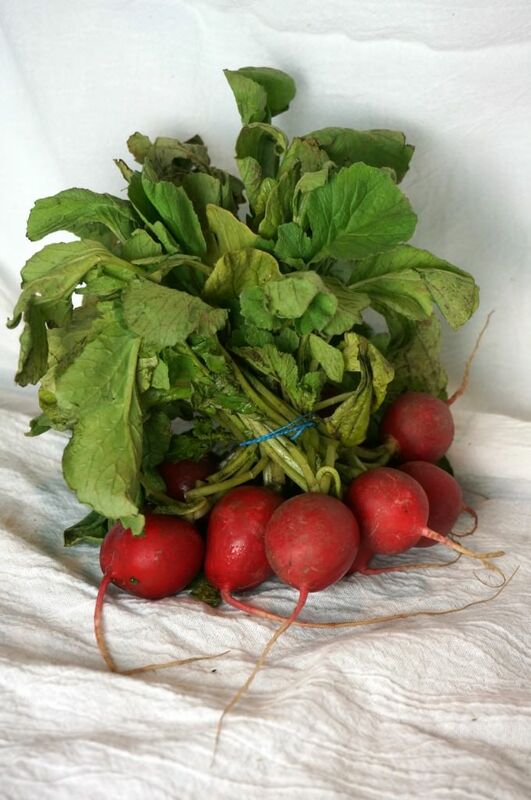 I will have ot try the radishes… I always thought they were too pungent for them! All good ideas! Beets do have an earthy flavor, but they are so good for you. My favorite way to eat beets is in a raw slaw. I grate beets, carrots, and apples. Then I add some finely chopped walnuts and dress with an orange vinaigrette. I could eat this every day. I also love them juiced with carrots and apples. You can adjust the amount of beets to your liking. I usually use one beet to 4 carrots and one apple.